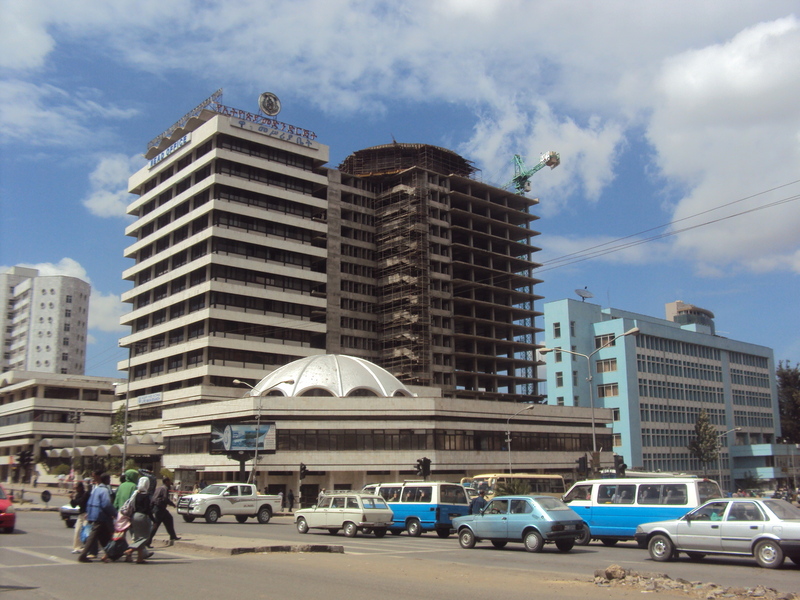 The Maritime and Transit Services Enterprise (MTSE) of Ethiopia has funded the construction of a multi-purpose building in the heart of Addis Ababa. Costing 91 million Birr (around $5 million USD) to build, the 18-story building is being constructed on 5,000sqm plot of land by the Ziasae architecture firm. Once completed, it will become the new headquarters for MTSE. 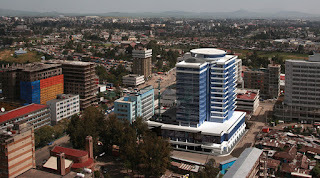 In addition, the building will also accommodate a high class restaurant, an apartment complex and as an assembly hall. 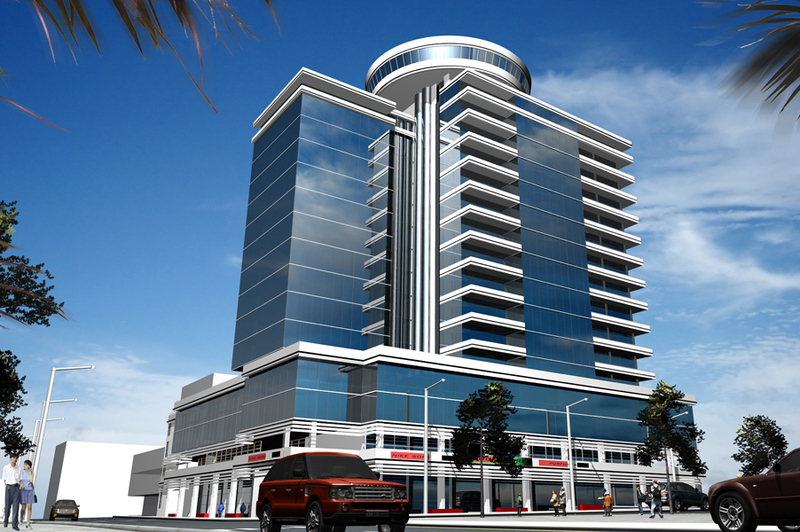 The tower will largely consist of steel and glass, which seems to be the de-facto choice among Ethiopian architects. 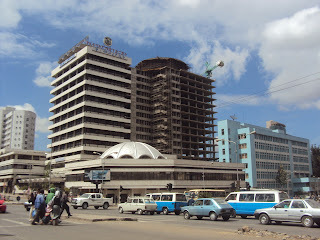 Unlike most of Addis Ababa towers, this one has been well designed and looks aesthetically appealing, even though it doesn't harmonize well with its surrounding buildings. 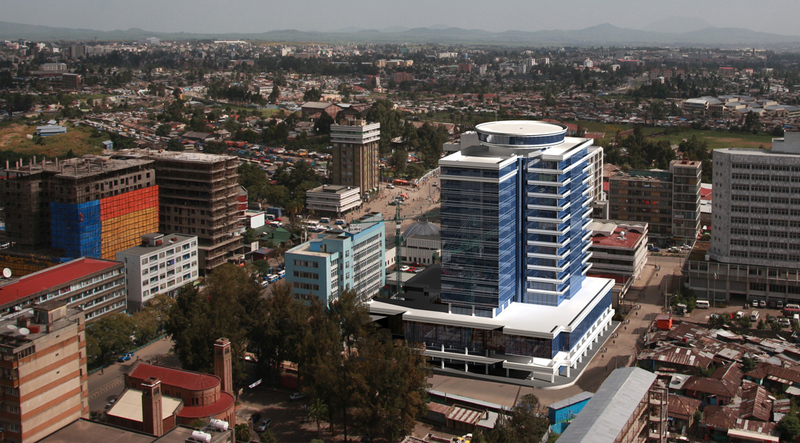 It's no surprise this blue tower was the winner of of Addis Ababa's best design competition. The Ziasae architecture firm are the best in Ethiopia and this building demonstrates their skill and growth as a company.